33 loyalty points Your cart will total 33 points that can be converted into a voucher of 1,32 PLN. 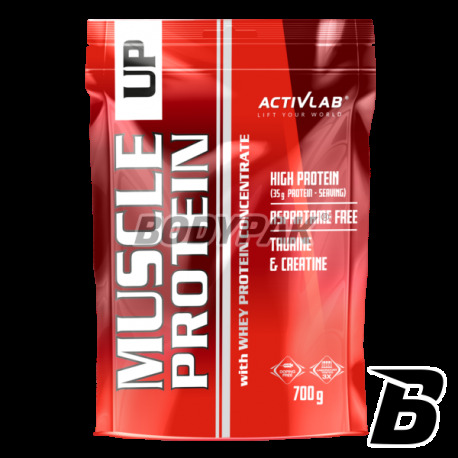 Activlab Muscle Up Protein is a valuable source of proteins necessary for both muscle mass and to prevent its loss during dieting. It is characterized by a very high nutritional value and anabolic activity, making it an ideal choice for those building a healthy, sporty silhouette. Creatine and Taurine accelerate the growth of muscle cells, and prevent catabolic processes, significantly speeding up the recovery period after training. Low in fat promotes the building of lean muscle mass and at the same time makes the Muscle Up Protein is also ideal for those who are in the course of a slimming diet. 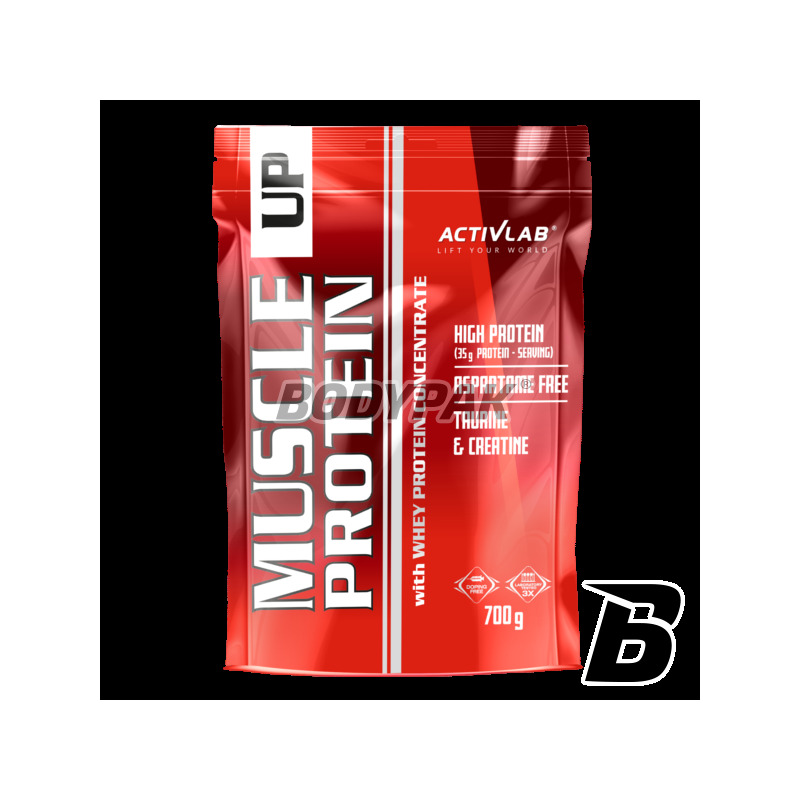 Activlab Muscle Up Protein is recommended in excessive physical exertion especially for athletes practicing various sports disciplines as supporting recreational and competitive training. Składniki: koncentrat białka serwatkowego, maltodekstryna, kreatyna (monohydrat), tauryna, glukoza, aromat, substancja zagęszczająca - karboksymetyloceluloza, regulator kwasowości - kwas cytrynowy (smak truskawkowy, jogurtowo-wiśniowy, owoców leśnych), substancje słodzące (sukraloza, acesulfam K), barwniki: czerwień koszenilowa (smak truskawkowy, jogurtowo-wiśniowy, owoców leśnych) - może mieć negatywny wpływ na aktywność i skupienie uwagi u dzieci, karmel amoniakalny (smak czekoladowy, orzechowy), dwutlenek tytanu (smak waniliowy, kokosowy z wanilią, bananowy), koszenila (smak owoców leśnych), błękit brylantowy (smak owoców leśnych). Ekonomia, smak, rozpuszczalność - wszystko na plus! High protein supplement with an interesting flavor and even more interesting origin. This is a sensational rice protein, which can be successfully used as a dietary supplement athlete! Bet on the quality and enjoy the results!